Be prepared - as well as revising the subject, know your exam strategy. This will help you have a calm approach. Take your time - deliberately slow down, read questions twice and allow budget your time methodically. Double check - allow time at the end to go back over the questions making sure you've got it right. Sitting exams can be nerve-wracking. Here are five essential tips to help you ace your TC exams. While your revision is a vital part of getting a good exam result, your technique in the exam is just as important. Good exam technique is not just about what you know, but how you apply your knowledge in the exam itself. 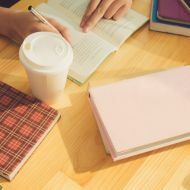 Developing your exam technique minimises the potential for stress and helps you perform to the best of your ability on the day. Don’t just rush in and plump for the first answer you think is the right one. Make a conscious effort to slow yourself down and think through each question carefully and in a logical way. Look out for distractors in multiple choice and multiple answer questions. These will often feature common errors which students tend to make. Active reading is a technique you can use to pick out the important parts of a question. Often, you will find clues on the direction you should take within the question itself. Underlining or highlighting key words, dates and pieces of financial information can help you work out the correct approach. 2. Keep an eye on the time. Typically, the exams at TC level are 1.5 or two hours long. They are all made up of a set number of objective-test questions, with the exception of the Financial Accounting and Principles of Tax papers, which include some longer form questions as well. Did you find yourself in a bit of a panic towards the end with too many unanswered questions left? Did you spend longer than you should have on particular questions? Keep a close eye on the clock – after an hour you should be on your way towards the second half of the paper. Use the exam room clock or your watch as you can't take your mobile into the exam hall, even if it is for timekeeping. 3. Work through the paper logically. You don’t need to work through all of the questions in the order they appear in the paper. Instead, try to take a more strategic approach. Start by answering the questions you are most confident with. This gets you into a good flow and builds up your confidence at the same time. You may also find that something you do in one question reminds you of how to approach one of the ones you have left until later. Just make sure you have clearly marked which questions you have to come back to. Remember, you only have a set amount of time per question, so if you get stuck on a particular question, don’t spend ages on it. Leave it and keep working through the paper until you have answered all questions you are confident with. Then come back to the trickier ones. 4. Avoid common exam pitfalls. First up, don’t do calculations in your head. You may think this is a good way to save time, but doing this can trip you up. Write everything down, even if it is just on a rough working sheet. Secondly, make sure you read and understand the question you are answering. Answer the question that’s been asked, not what you think you should be doing. Do you need to give just one answer or is more than one response to the question required? Thirdly, and perhaps most importantly, focus on yourself and on your own performance. Don’t be concerned with other people and how well they might be doing. 5. Do a final check at the end. It is a good idea to build in time at the end of the exam, perhaps the last 10 to 15 minutes or so, to review your work. Check that you have answered every single question in the paper. Remember that there are no negative marks given for incorrect answers, so you are better to put something in than leaving a question unanswered. There is lots of practical information about your TC exams on the ICAS website. Use this to know where you’re supposed to be on the day and what time the exam starts. Follow @ICAS_students for the latest student-related content and news.